Designed as a family holiday home, both cosy and modern, allowing to welcome your friends with a maximum of intimacy or to stay in a smaller group in a warm space, Saota Beachy Head is waiting in the middle of the dunes. 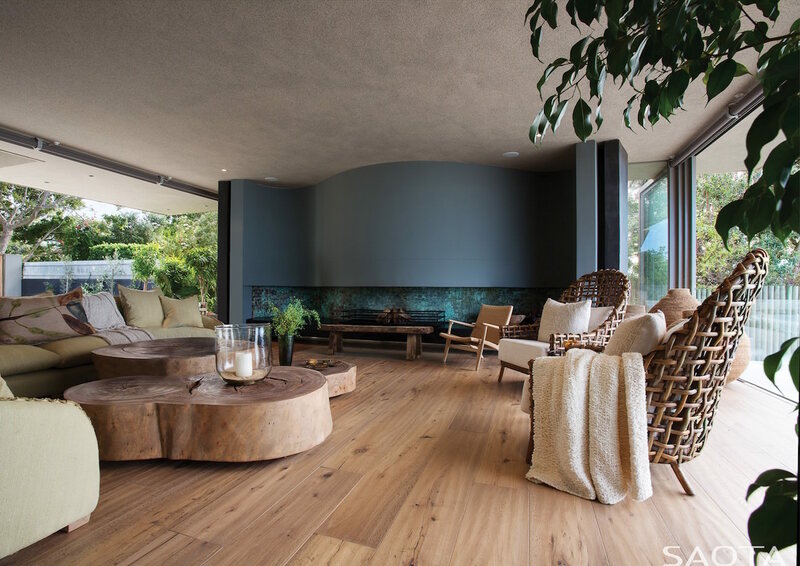 Located in South Beacon Isle on Pletterberg Bay, Saota Beachy Head was designed as a family home both elegant and relaxing. There nothing is due to chance and all was thought to take the most of the unhindered landscape in terms of views, light, wind direction or any other geographical parameter. Saota Beachy Head is built on a former dune, facing Indian Ocean and Outeniqua mountains in the distance towards the North. Representing “Earth”, the house seems to be floating for those who look at it from the beach. Some wings have been created in a sand colour, echoing the surroundings colours. 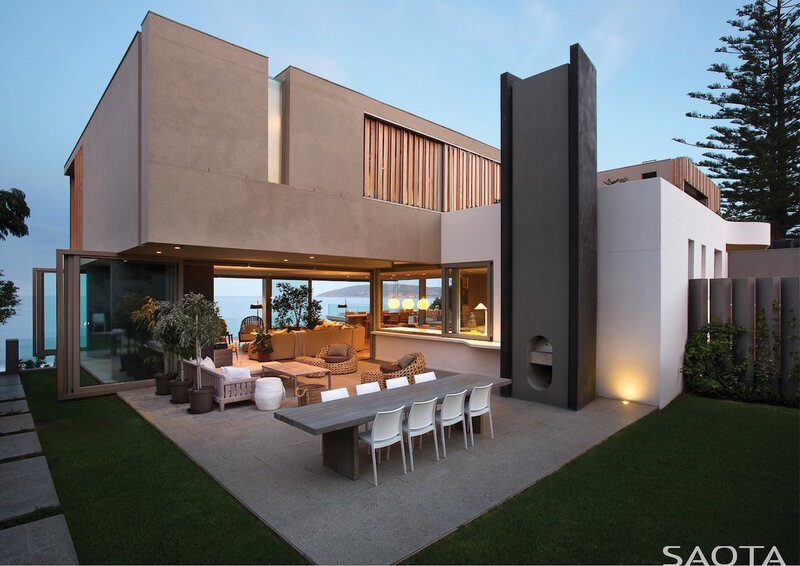 Saota Beachy Head that was ended in 2014 represents a total of 1447sq.m split with style in a relaxing décor. 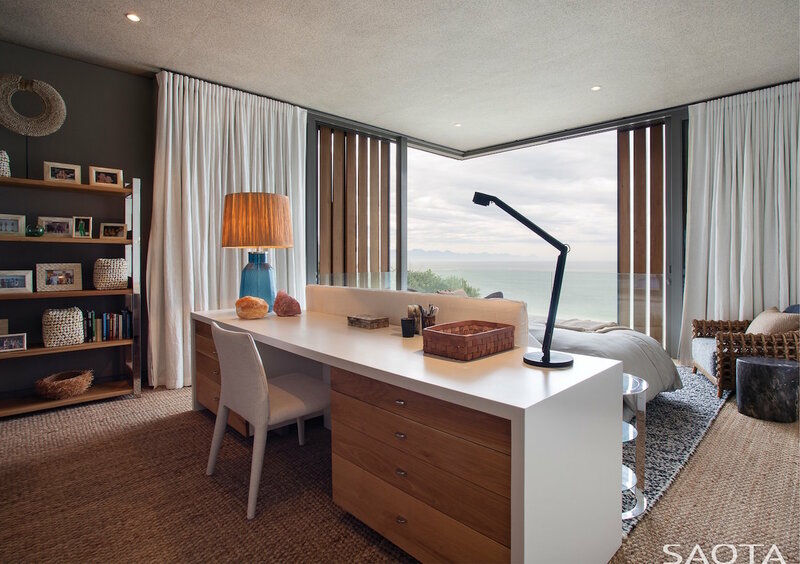 Each room in Saota Beachy Head was designed, built and imagined to highlight the breathtaking landscape in the bay. So the living spaces are column free to take the most of the view, and the main room seems to be “floating” above, only supported by a modern fireplace. Then, the living room becomes the ideal room for wonder thanks to the unobstructed view of the sea. 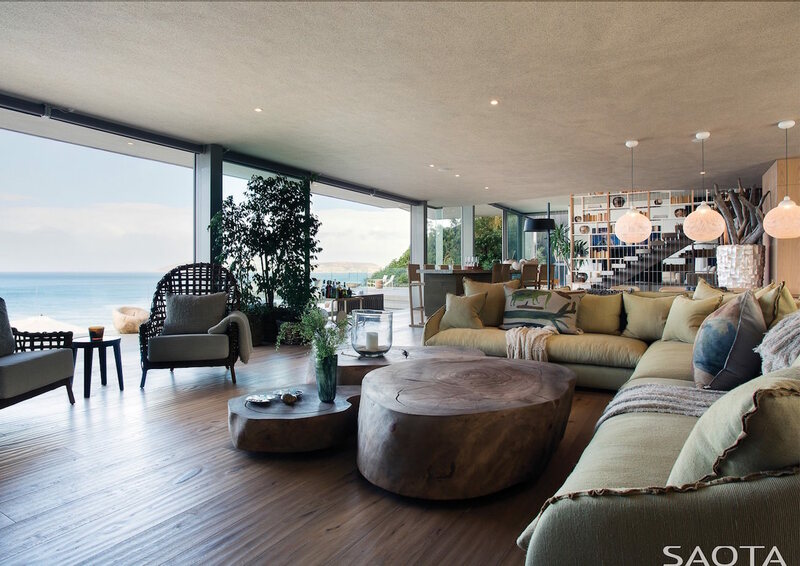 The kitchen in Saota Beachy Head was also place to let the living spaces free of any walls, with opened volumes that connect the gallery and let the sunlight enter the rooms. 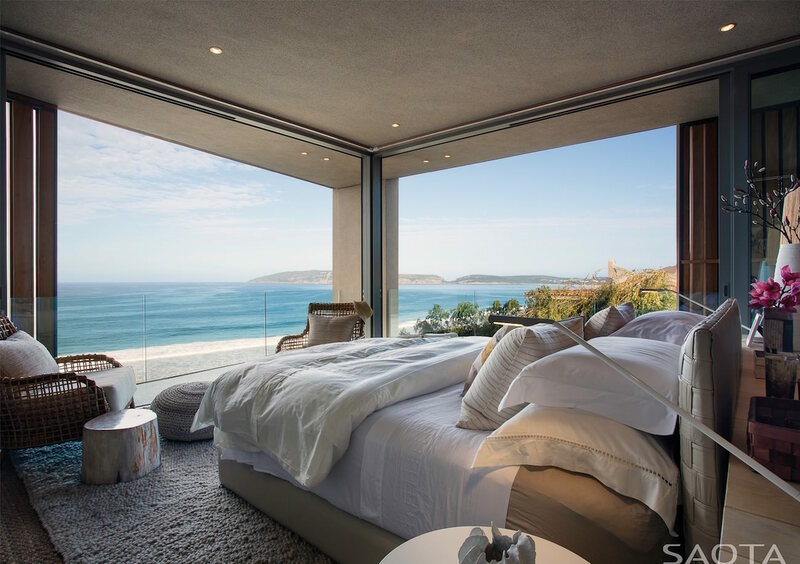 And concerning the different bedrooms in Saota Beachy Head, the motto was “Space”. They catch the sunlight and keep a maximum of intimacy. All available space was used to let the occupant enjoy the landscape, with luxurious en-suite bathrooms and a view of the ocean from any corner of the room. Large mirror have been placed here and there to create even more space impression, reflecting the ocean or the mountains. As for the main suite, it has been built higher than the other to enjoy the most of the view. 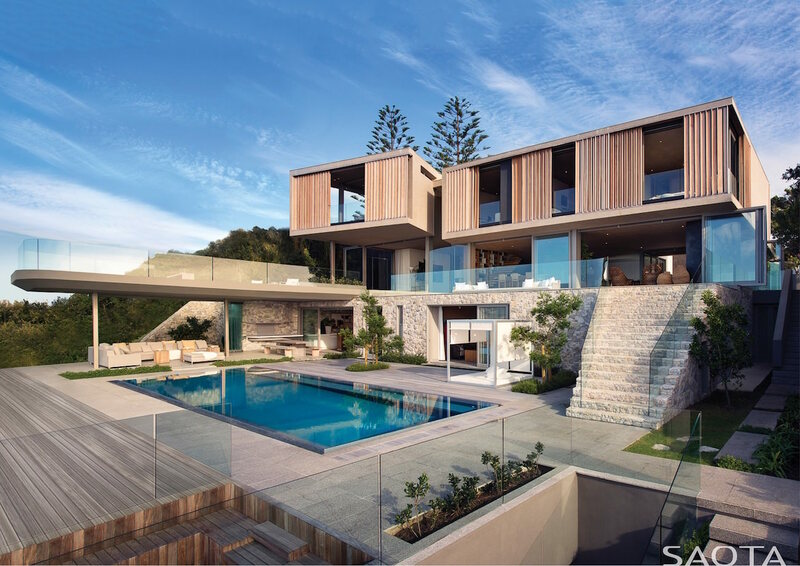 Finally, outdoor spaces in Saota Beachy Head stay connected to the lower level and pieces thanks to a stone staircase that connects the pool to the playroom, guest suite, audio-visual room and other available facilities. A breath of fresh air that you can also enjoy in a warmer space near the outdoor firepit, always facing the ocean! Share the post "Beachy Head: a jewel box is standing in the middle of the dunes, true dreamed holiday home"